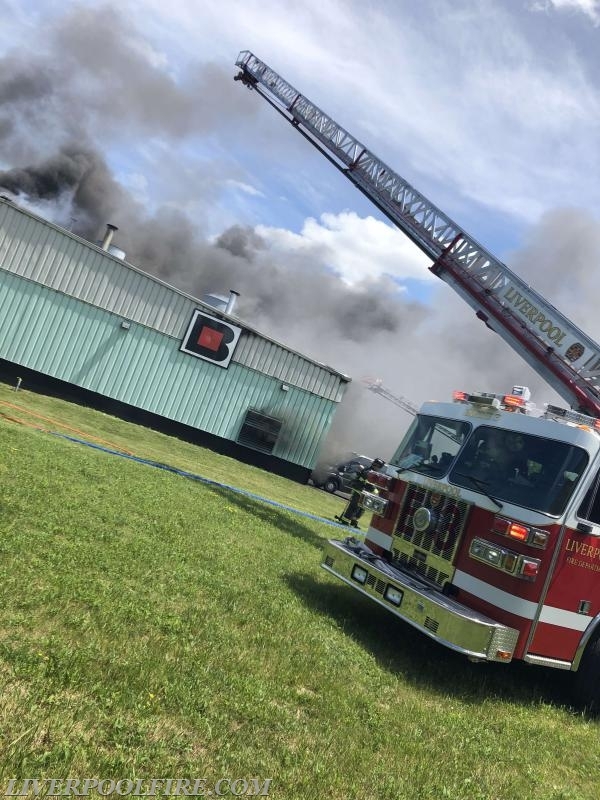 Just after 1300hrs Friday July 6th, the Lakeside Fire Dept along with mutual aid companies were alerted for a reported Industrial Fire on Interstate Island Blvd off of Jones Rd. Multiple calls reported a building on fire with toxic chemicals within the building. 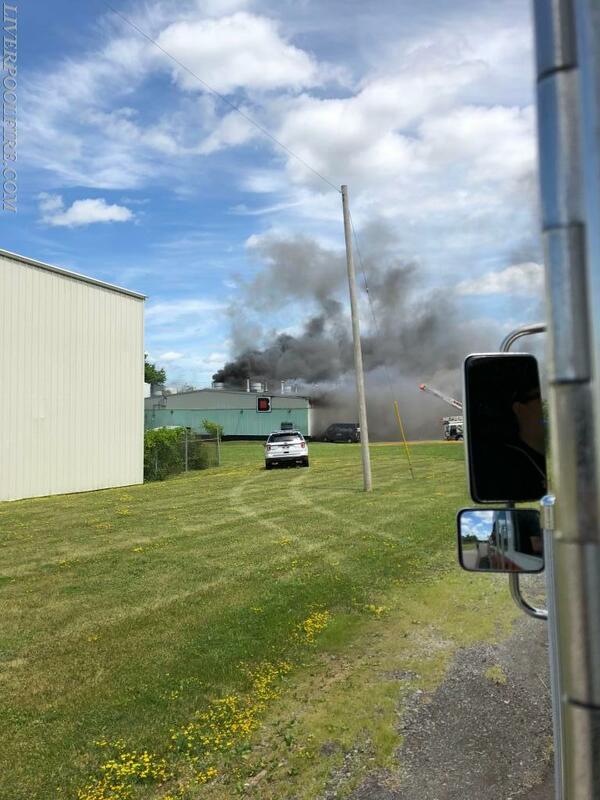 Baldwinsville Car 2 arrived to a large 1 story commercial building with heavy fire and smoke showing. Within 5 minutes crews were pulled from the building and the incident became defensive. Liverpool Engine 3(DC. Manley) with a crew of 5 responded. Initially Engine 3 was requested as the Rapid Intervention Team. Upon Engine 3s arrival, the crew made quick work and deployed 300ft of 3inch with a blitz fire master stream on the “Charlie” side of the building where a good majority of the fire was located. Liverpool Car 2(DC. Ormsby) also responded and was the “Charlie” side operations officer. 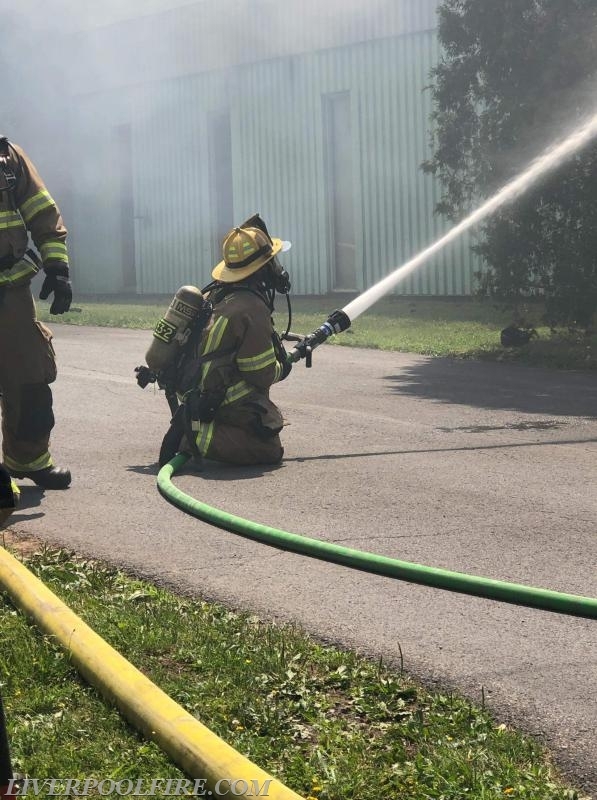 Throughout the operation Engine 3 was tasked with various suppression tasks, these included opening overhead garage doors to expose fire, and operating on several hand lines knocking down fire. Several hours into the incident the Onondaga County Foam Unit 234 was brought in and operations switched from water to foam. 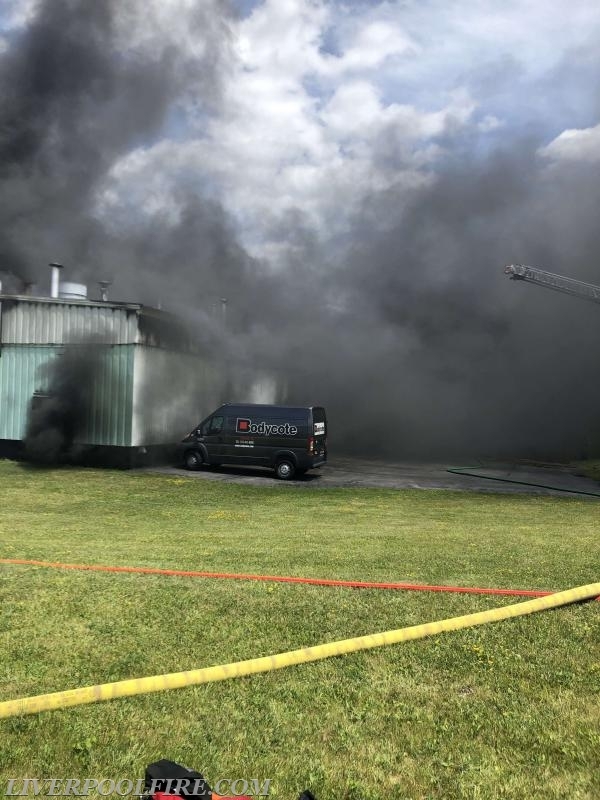 Engine 3s crew assisted New York State Fire and eventually the crew deployed a handline into the building to knock down the remaining fire within the building. 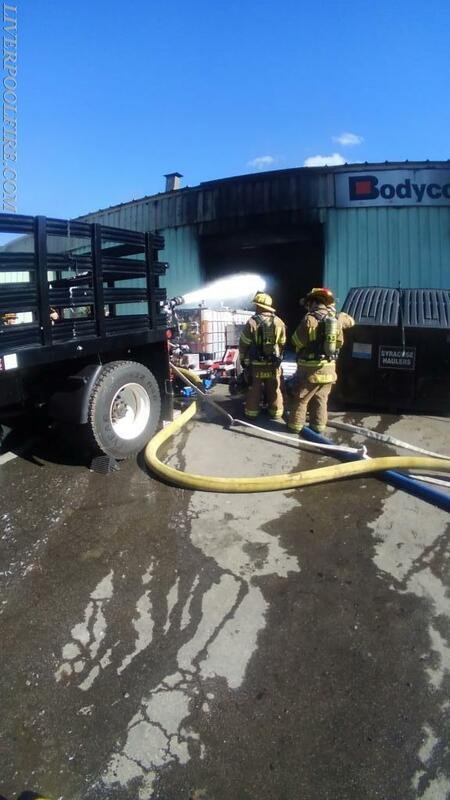 Engine 3s crew operated within the building battling flames for roughly 45 minutes with foam. Engine 3 returned to service 9 hours after the initial dispatch. 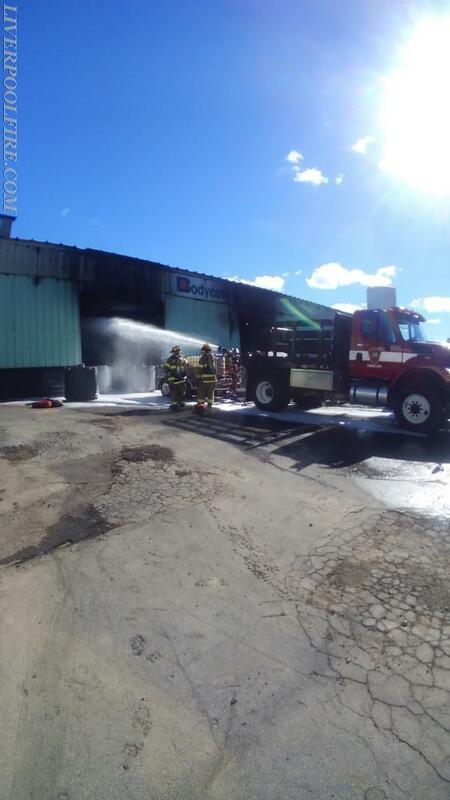 Currently the fire is under investigation by the Onondaga county Fire Investigation unit.